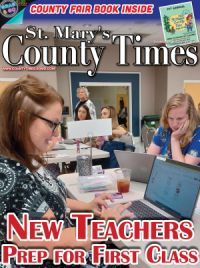 St. Mary's County Public Schools announced the selection of Ms. Kathleen Reineke, an Instructional Resource Teacher at Oakville Elementary School, as its 2014-2015 Teacher of the Year. "Ms. Reineke is an asset to our school system. She has an innate ability to communicate and connect with her students in order to overcome challenges and provide enrichment where needed," said Dr. Michael J. Martirano, Superintendent of Schools. "She is well-respected and an outstanding educator." she is an asset to education and children." Ms. Reineke is currently enrolled in a Ph.D. program in Instructional Leadership for Changing Populations at the College of Notre Dame of Maryland. She received her Bachelor of Arts degree in History from Winona State University, her Teacher Certification from St. Mary's College of Maryland and a Master of Education in Reading from Towson University. All county Teacher of the Year representatives will be honored by the Maryland State Board of Education at a recognition luncheon held on Tuesday, May 20, 2014 in Baltimore. Ms. Reineke will represent St. Mary's County as a candidate for Maryland Teacher of the Year. This award will be announced at the Maryland Teacher of the Year Gala in Baltimore on October 10, 2014. The Maryland Teacher of Year will be presented with several prizes, will speak at numerous conferences and events, and will act as an advisor to the Maryland State Department of Education. The Maryland Teacher of the Year is also a candidate for the National Teacher of the Year. Mr. Garth Bowling, Principal of Chopticon High School, has been selected as St. Mary's County Public Schools' recipient of The Washington Post's Distinguished Educational Leadership Award. The Washington Post Distinguished Educational Leadership Award exists to recognize those principals who go beyond the daily challenges of their position to create an exceptional educational environment. "Mr. Bowling's selfless dedication to his students, staff, and community exemplifies the leadership that is critical to the success of his school," said Dr. Michael J. Martirano, Superintendent of Schools. Mr. 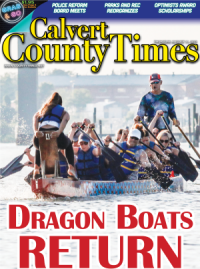 Bowling joined St. Mary's County Public Schools (SMCPS) in 2008 as Principal of Chopticon High School after a stellar career in Charles County Public Schools from 1977 to 2008 serving as a Social Studies Teacher, Vice Principal, and Principal. Garth Bowling's background encompasses 41 years in the education field with 29 of those years as Principal. He received his Bachelor of Science degree in political science and his certification in secondary education from Towson State College, as well as, a Master of Education degree. Mr. Bowling also received his Certification of Advanced Study in School Management from Loyola College. During the first week of May, The Washington Post will present the award to Mr. Bowling and the other principals representing public schools systems in Maryland, Virginia and the District of Columbia. Ms. Christina Caperones, a Kindergarten teacher at White Marsh Elementary School, was selected as St. Mary's County Public Schools' recipient of The Washington Post's 2014 Agnes Meyer Outstanding Teacher Award. The Washington Post recognizes excellence in teaching throughout the Washington area region annually. For over three decades more than 500 teachers have won the Agnes Meyer Outstanding Teacher Award. The awards are named for Agnes Meyer, a staunch supporter and defender of public education and wife of Eugene Meyer, who purchased The Post in 1933.
she understands the individual needs of each student and encourages their talents while fostering their self-esteem," wrote White Marsh Elementary School Principal Beth Ramsey in her letter of support. Ms. Caperones earned her Master of Education in Reading from Towson University and her Bachelor's degree in Psychology and Certificate in Early Childhood Education from University of Maryland Baltimore County. Before joining the staff of White Marsh Elementary, Ms. Caperones taught at Green Holly Elementary School. "Ms. Caperones challenges her students to reach new levels of success each and every day," said Dr. Michael J. Martirano, Superintendent of Schools. Ms. Caperones and other recipients among the Washington region will be recognized on May 13, 2014 at a ceremony hosted by The Washington Post.